The installation on the foreshore attracted much comment from passersby. 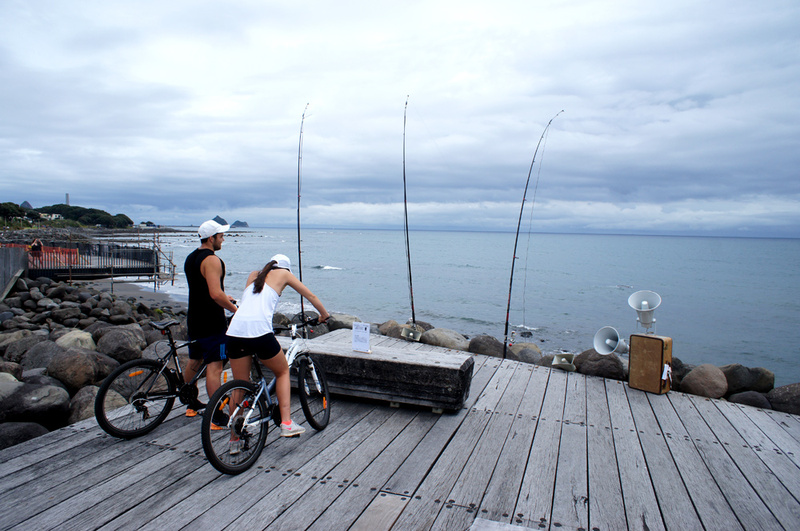 Allan Giddy presented a work on New Plymouth’s foreshore England Expects … (Aotearoa) 2014-15. This project is solar powered, and uses three mics on the tips of fishing lines – which turns them into aeolian harps (which are blown by the wind). The audio created is mixed with the UK weather forecast, and a recorded response by violinist Alison Blunt of the London Improvisers Orchestra. A special implementation of the project at SCANZ involved waiata sung by Jo Tito, connecting the specific location to the British influences in the work. As Giddy said “this work contains elements of past (violin), present (waiata and aeolian fishing lines) and future (shipping forecast). Matt Saunders mixed the prerecorded audio. Allan Giddy has an ongoing practice of creating ‘active’ public installations that respond directly to the environment. Giddy is a pioneer in the use of alternative energy systems and light in ‘time-based sculpture’ beginning in 1992. Over time his practice expanded into the public domain, specifically publicly sited ‘active sculpture,’ aimed at the reinvigoration of public spaces. 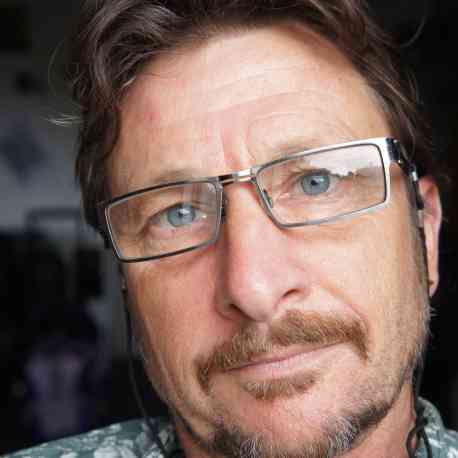 He is one of Australia’s foremost proponents of sustainable energy systems, electronic interconnectivity and interactivity embedded in physical art objects. In addition Allan also directed and co-curated energy-in-art exhibitions at UNSW’s Solar Research Centre (SOLARCH), Little Bay, Sydney in 1999 and 2002, Australia’s first solar art exhibition “Desert Equinox” in 2012, and La Lune (energy in art) on Sydneys North Shore. 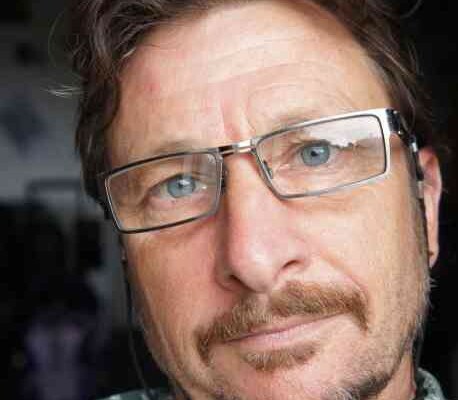 Giddy currently directs the Environmental Research Initiative for Art (ERIA) COFA University New South Wales. Use of a flash to take the above photo obscures the fact the image was taken at night in Pukekura Park. While simple the work was entirely engaging in it’s location. 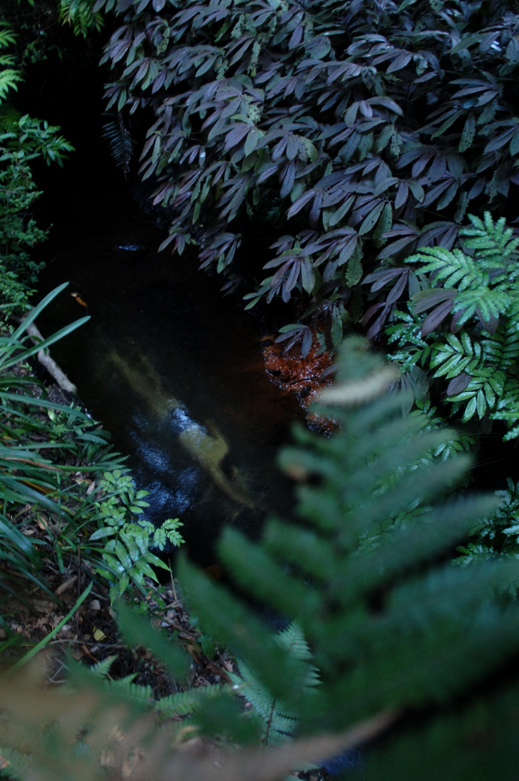 The artist also showed a work projected onto a Pukekura Park stream as part of the Night Projections – Night Swimmer.